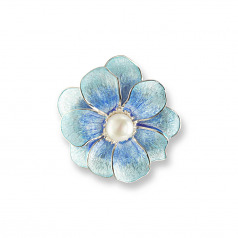 Vitreous Enamel on Sterling Silver Camellia Brooch - Blue. Set with a Freshwater Pearl. Rhodium Plated for Easy Care.